Fitbit Alta HR bands are water resistant and have a long battery life. 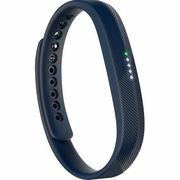 Get to know more about the Fitbit HR band at Souq.com.Indulge in an interesting way of your health and fitness analysis with the Fitbit Alta HR Fitness Tracker. This small fitness band has a striking color combination of blue and gray. It features a heart rate recorder that shows your resting heart rate, and you can also count steps and calories burned while walking or running. This HR band is equipped with a SmartTrack Auto Exercise Recognition feature that automatically figures out the type of exercises you are doing. You can toggle through the stats on the OLED touchscreen of this band. The Fitbit Alta HR band is water and sweat resistant so that you can wear it all day long for a better analysis of your bodily movements. It comes with a durable battery that, once fully charged, lasts for about seven days. 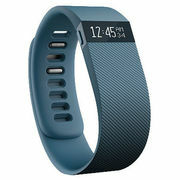 The Fitbit Alta HR band can be connected to your smartphone so that you can monitor your health in a more detailed way. Keep track of your resting heart rate after working out as it is a key indicator of your cardiovascular health. You can set your daily workout goals as the OLED display shows your progress toward them. The SmartTrack Auto Exercise Recognition features auto detects your physical activities and logs them to its dashboard. 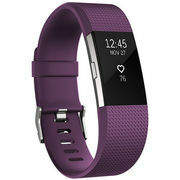 This Fitbit HR band has a customizable clock interface so that you can choose your standby display as per the stats you require to see. You can replace the wristband of this tracker with any kind and type, based on the occasion and your preferences. 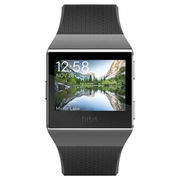 To personalize this gadget, just install the Fitbit app from the Apple App Store or the Android Play Store and analyze your health goals and achievements in detail on the big screen. Fitbit Alta HR bands are water resistant and have a long battery life. 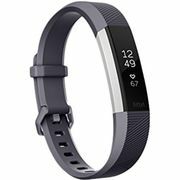 Get to know more about the Fitbit HR band at Souq.com.Indulge in an interesting way of your health and fitness analysis with the Fitbit Alta HR Fitness Tracker. This small fitness band has a striking color combination of blue and gray. It features a heart rate recorder that shows your resting heart rate, and you can also count steps and calories burned while walking or running. This HR band is equipped with a SmartTrack Auto Exercise Recognition feature that automatically figures out the type of exercises you are doing. You can toggle through the stats on the OLED touchscreen of this band. 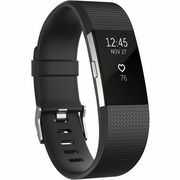 The Fitbit Alta HR band is water and sweat resistant so that you can wear it all day long for a better analysis of your bodily movements. It comes with a durable battery that, once fully charged, lasts for about seven days. WORKOUT IN STYLE, WALK FOR MILES The Fitbit Alta HR band can be connected to your smartphone so that you can monitor your health in a more detailed way. Keep track of your resting heart rate after working out as it is a key indicator of your cardiovascular health. You can set your daily workout goals as the OLED display shows your progress toward them. The SmartTrack Auto Exercise Recognition features auto detects your physical activities and logs them to its dashboard. PERSONALIZE YOUR TRACKER This Fitbit HR band has a customizable clock interface so that you can choose your standby display as per the stats you require to see. You can replace the wristband of this tracker with any kind and type, based on the occasion and your preferences. 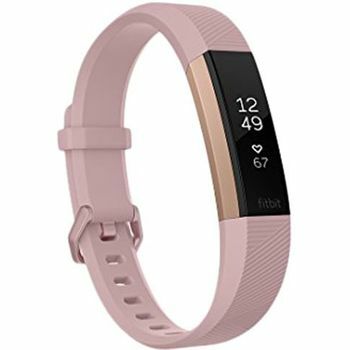 To personalize this gadget, just install the Fitbit app from the Apple App Store or the Android Play Store and analyze your health goals and achievements in detail on the big screen.